The horrendous Spanish detective becomes a bodyward in his third adventure. This is yet another movie in the Torrente series of world wide famous (apparently) Santiago Segura. 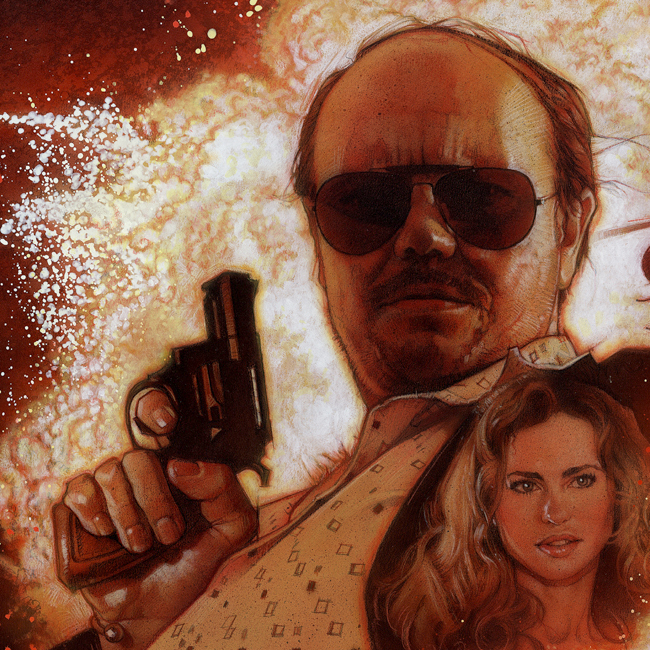 As a third installment in the series, as Torrente 3: El Protector, the one-man-show Segura demonstrates once again that he has what it takes to make an audience laugh. Signed and dated bottom right corner "drew 2005"